The boss of an independent management and training consultancy has been appointed as a registered and approved Growth Coach for the GrowthAccelerator initiative following a rigorous accreditation process. As a Growth Coach, Andrew Nicholson, Managing Director of Nicholson Consultancy, will provide expert, tailored advice to help ambitious businesses achieve rapid, sustainable growth. The validation process included scrutinising Mr Nicholson’s qualifications and experience and testimonials from three Managing Directors, whom he has coached as well as various compliance requirements. Before being accredited, Mr Nicholson, whose has 30 years’ experience in manufacturing and operations, also undertook a Growth Coach induction course. Mr Nicholson said: “GrowthAccelerator helps businesses overcome barriers to growth through tailored support and equips them with the skills and knowledge necessary to grow. 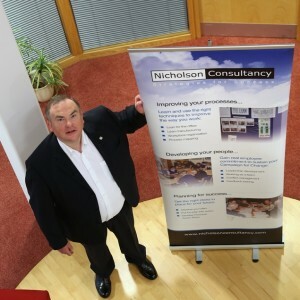 Most of Mr Nicholson’s career has been spent leading or facilitating change programmes across a wide range of industries, sectors and businesses. The GrowthAccelerator’s Growth Coaches must demonstrate a proven track record of helping a range of small and medium sized companies, in different sectors, accelerate and sustain their growth. The GrowthAccelerator, which is part of the Business Growth Service, offers access to tailored advice, guidance and support with matched funding available for leadership and management training for senior team members. It is a Government-back service offering support to businesses with the potential to improve and grow. Nicholson Consultancy is supporting the rapid growth of a West Yorkshire manufacturing firm after an unprecedented 92% increase in orders. Olicana Products had previously worked with Nicholson Consultancy on a number of improvement projects, including the recent introduction of ISO9001 Quality systems. So when its order book suddenly surged it looked to Nicholson Consultancy’s Rapid Results Programme for immediate action. Olicana, based at Ilkley, offers a high quality tube bending design, development and manufacturing service to a variety of industries, worldwide. It also has its own powder coating facility enabling it to complete the job on site. Nicholson Consultancy MD Andrew Nicholson said: “Olicana had severe growing pains trying to cope with such a sudden increase in turnover. There were high stress levels and quality issues, which led to an increasing order backlog. Andrew faced a tight deadline, as the work was already stacking up. He immediately agreed a 3-step strategy with the company: increase the workforce and extend shift-working, reduce the backlog and get orders back on schedule, then increase productivity and performance. “We had to make a lot of structural changes quickly to create an achievable production schedule, incorporating the order backlog and identifying any orders that had become ‘lost’,” he said. Andrew and Jason rapidly identified exactly how many new people would be required, where they were needed and how to train them. The ramp-up programme spelled out week-by-week how many people would be recruited, how quickly they could be trained, and how many might leave. “There was a need to regain control by instilling discipline and accountability, forcing in an achievable production schedule, and getting the whole team to pull together. “I helped set up a rapid agency-led recruitment and training programme and actively coached the Production Manager and team leaders. Phase 1 has now achieved considerable success, with about 15 new people successfully recruited and retained. Output has increased, the backlog has been cleared and deliveries are being made on time. Managing Director Rupert Pearson said: “We needed Nicholson Consultancy to de-stress the situation and help us retain the orders. The surge was astonishing and we had to be in a position to deal with it. “With Andrew’s help, we had to think very fast and get a plan in place. The company has had to go right back to basics and bring in a structure for recruitment, training and forward planning. “Orders are still up by more than 20 per cent, but Nicholson Consultancy has taught us how to embrace the challenges. Andrew said: “Jason and his team have faced a lot of challenges but they’re now beginning to see the benefits: they’re under less stress, they can cope with much higher workloads, and they’re back in control. “Phase 2 is well under way, with more coaching for the Production Manager and Lean Manufacturing techniques to be implemented to increase productivity and take quality to the next level. Nicholson Consultancy has helped a Bradford vending machine specialist hit 100% targets for quality and production. Refreshment Systems is one of the UK’s leading vending machine suppliers with offices around the country, supplying, installing and maintaining vending machines for snacks and beverages. Andrew Nicholson, MD at Nicholson Consultancy said: “The issues at Refreshment Systems are the same faced by many small businesses around the country. They have to fight hard for orders and then be very flexible and agile to accommodate more work at very short notice. “But there are always improvements that can be made to ensure SMEs are as competitive as possible. “Like most of our clients Refreshment Systems is a successful, well-run business, but costs were escalating and there was pressure on margins, with customer expectations increasing all the time. “Refreshment Systems was already a pretty Lean company – it achieves a world-class service with remarkably few people – but there was the occasional customer concern, a few post-installation snags and some delays and errors in meeting exact customer specifications. There was very little space in the small workshop where vending machines are repaired, maintained and configured to customer requirements, technicians were struggling to keep everything organised, there was a wide variation in skill levels and there was little visibility of future jobs. Although the local leadership team (the workshop supervisor and engineering manager) were experienced and had had management training in the past, they were finding it difficult to pull everything together in a challenging, fast-moving environment. Andrew Nicholson worked very closely with the management team and mapped out the “customer experience” right from order through to installation and after-care. He assessed and developed the leadership skills of team members and helped the company to develop and implement a performance-based incentive scheme. Among the main measures he brought in, Andrew introduced the 5S principles for managing the workplace: sort, straighten, sweep, standardise and sustain. He helped to improve production planning and scheduling and installed a TV screen in the workshop to display real-time schedules so the staff could be kept fully informed. Andrew said: “As a result, delivery performance is On-Time In Full, there are zero customer concerns and productivity is up. “The workshop is a better place to work. It’s more efficient, easier to find things and you can see at a glance if anything is missing or out of place. Refreshment Systems MD Alistair Balmforth said Nicholson Consultancy was an essential extra asset for his firm. “Specialist smaller firms like us have to work really hard to keep their order books full – but sometimes you have to take a step back to get a broader picture of how we are doing and whether we can squeeze any more out of the way we operate. “Our controls were good, but Nicholson Consultancy enabled us to have a full overview of Refreshment Systems and the people who work here. “There is a high level of visibility now and that has made a big difference to how we approach our contracts. 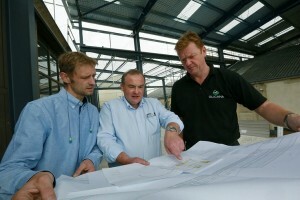 Engineering Manager Steve Wright said: “We’re very proud of achieving a perfect 100% for quality and production targets. With such a dedicated team, it is critical for us to work together and deliver the best service for our customers. As with many independent firms, there were initial concerns about the need to call in consultants, and Workshop Supervisor Kevin Whittle admitted: “I was sceptical at first – we were already doing a good job. 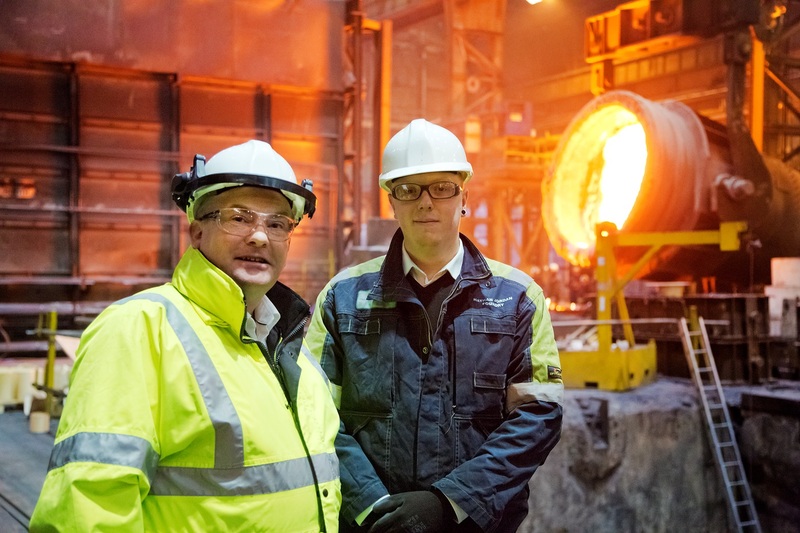 Sheffield Forgemasters has realised a £300,000 annual saving through the adoption of Lean manufacturing policies and anticipates doubling this saving within 12 months. The company recognised the possibility of performance enhancement through Lean and employed business improvement specialist Nicholson Consultancy to provide staff with the knowhow and skills to make manufacturing processes even more efficient and cost-effective. After establishing what the world’s largest independent forgemasters wanted to accomplish by adopting a culture of lean manufacturing, Andrew Nicholson and his team drew up a tailor-made training plan, based on the highly successful Lean Consortium programme. The corporate Lean Consortium Programme also focused on pinpointing opportunities to add more value to the products and services that Sheffield Forgemasters supplies. Thanks to the support of Nicholson Consultancy, more than 1,500 employee improvement ideas have emerged ranging from simple changes to plant layout through to six-figure initiatives. Projects have involved examining the consumption of raw materials, water and energy, how repairs and maintenance are carried out, the outsourcing of products and services, and the relocation of equipment and machinery. Mick Dickson, Operations Director (Work Rolls) and Lean Champion at Sheffield Forgemasters, said: “We wanted to give our employees the knowledge and confidence to devise methods, not only to make manufacturing processes more efficient and economical, but also to add value to our products and services. This has been achieved through our work in partnership with Nicholson Consultancy. “While not all improvements can be measured in terms of pound notes, all projects are meticulously assessed and monitored. The measurable benefits currently are running at about £300,000 a year, with a target to double this within 12 months. This is in addition to initial one off savings of more than £100,000. Andrew Nicholson, Managing Director of Nicholson Consultancy Ltd, said: “To succeed in today’s fast-moving business environment it is vital that manufacturers embrace characteristics including a reasoned and comprehensive strategy, efficient and effective processes and the right people in the right places. A project led by two apprentices has lowered nitrogen usage by 20 percent and made the process more efficient. The rigorous recycling of scrap and excess steel – even dust is recycled and reused – has led to a reduction in raw materials. Re-positioning of plant and equipment to save unnecessary transport and movement. Previously outsourced operations, such as tool grinding have been brought in-house. A newly implemented scheme aims to cut down on the substantial amount of fresh mains water by recycling water from the company’s reservoir. Staff, ranging from directors to team leaders to shift managers, enrolled on the bespoke Corporate Lean Consortium programme. This equipped the participants with the knowledge to examine ways of improving processes across all Sheffield Forgemasters’ manufacturing divisions and support functions. Staff then shared their vision and new business intelligence with colleagues, who have been encouraged to scrutinise their working environments and practices.